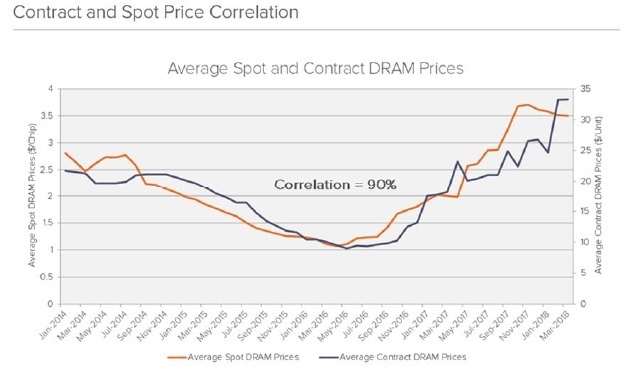 Manufacturers may have been artificially inflating DRAM prices by restricting supply and agreeing to not cannibalize the market share of others. The abnormal rise in revenue by as much as 166 percent YoY has caused at least one U.S. law firm to investigate further into the matter with correlative results. As detailed through the class action complaint here, law firm Hagens Berman is suing the three largest manufacturers of DRAM chips for collusion. The plaintiff claims that Samsung, Micron, and SK Hynix have been conspiring since at least June 2016 to keep prices high for maximum gain. Together, these corporations have a monopoly on the DRAM market at over 95 percent of worldwide production. The accuser cites the unusually high jump in both DRAM prices and revenue for the aforementioned companies, intentional and concurrent supply constraints, and the fact that these same companies have previously been convicted for similar DRAM price fixing schemes in 2005 where SK Hynix pleaded guilty. Indeed, SK Hynix in particular achieved a revenue of 5.5 billion USD in Q3 2017 up from 2.3 billion USD just a year earlier while Micron jumped even higher from 1.5 billion USD to 4.0 billion USD during the same time frame. We recommend checking out the full complaint for additional details, but the graphs below paint a general picture as to why Hagens Berman has been awfully suspicious. 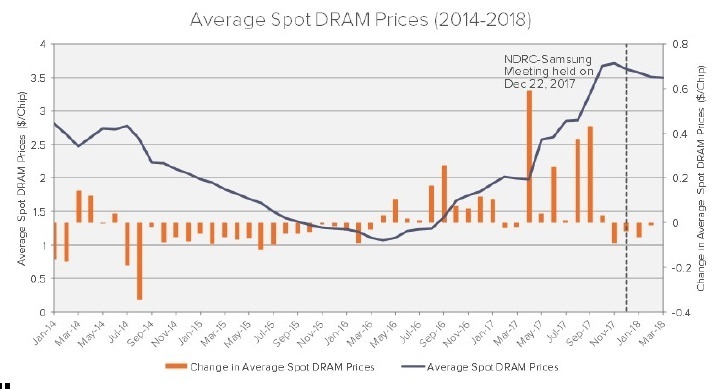 Average DRAM prices have been on a downward trend before skyrocketing in 2016 and 2017. The extreme changes against the expected trend line are raising red flags to certain law firms. DRAM is essential for many consumer electronics including laptops, desktops, graphics cards, tablets, gaming consoles, and smartphones where RAM is required.